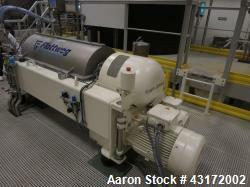 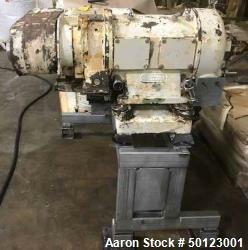 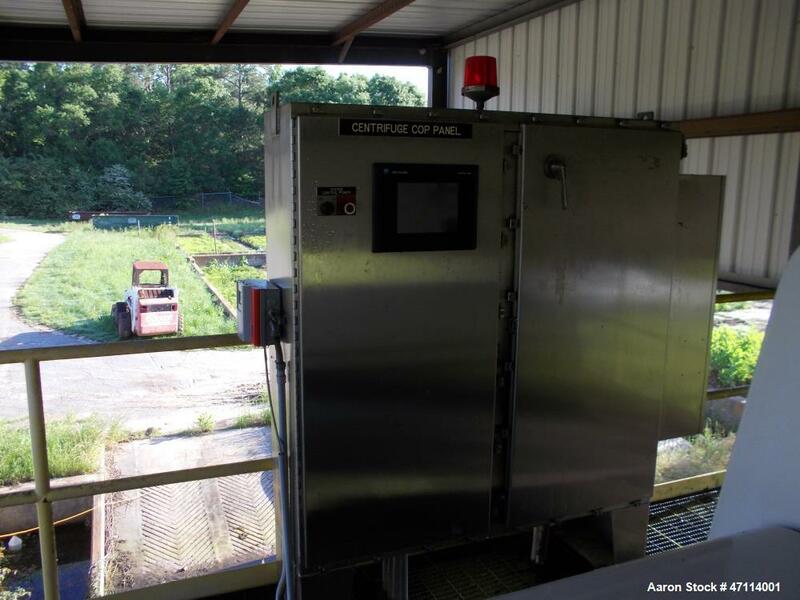 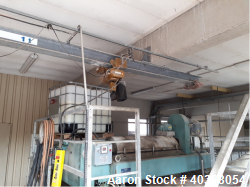 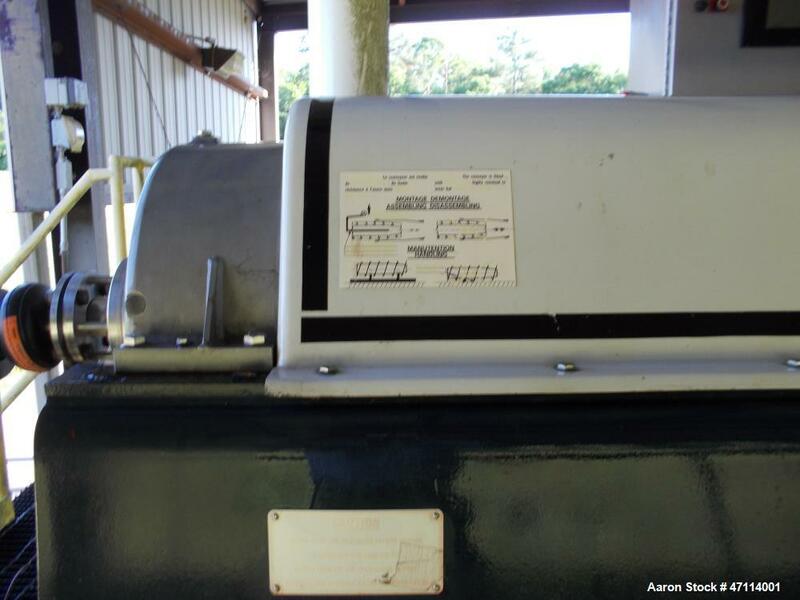 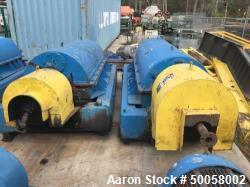 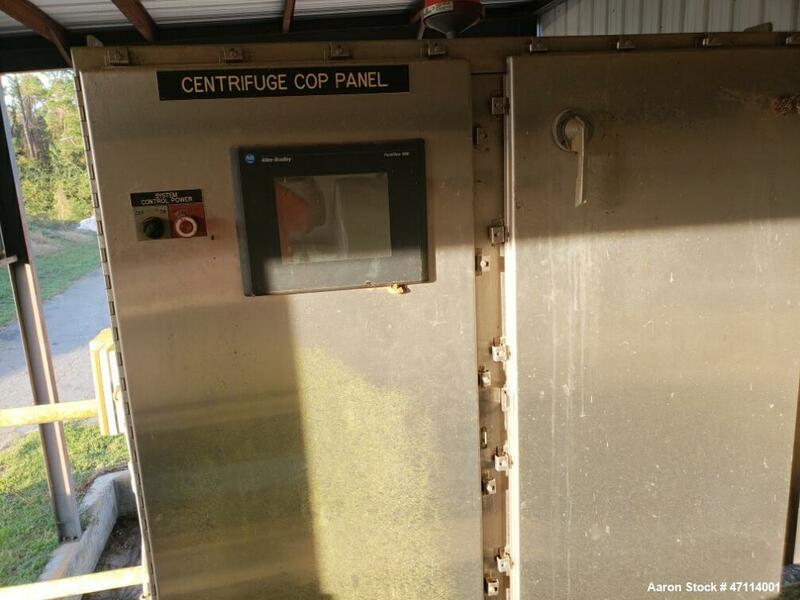 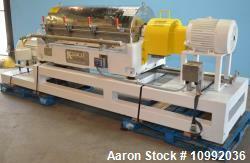 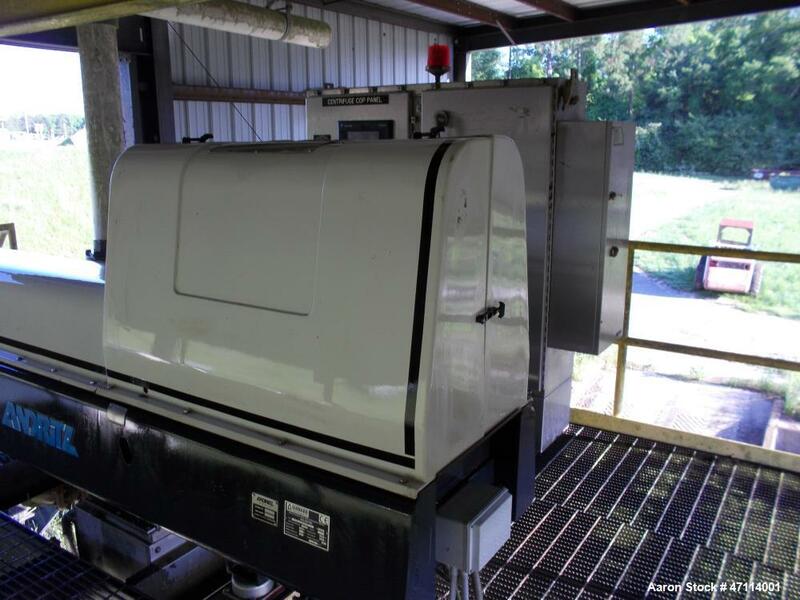 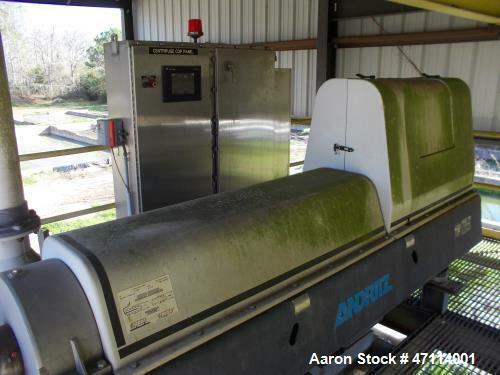 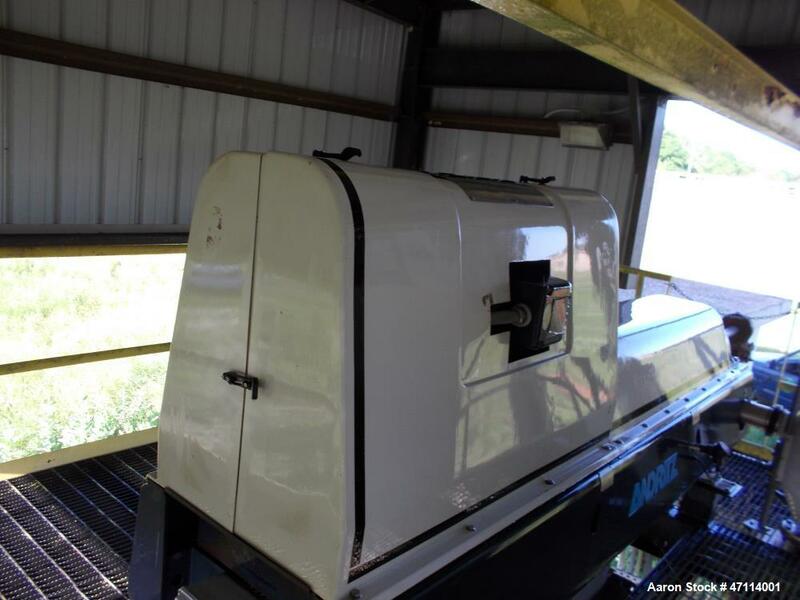 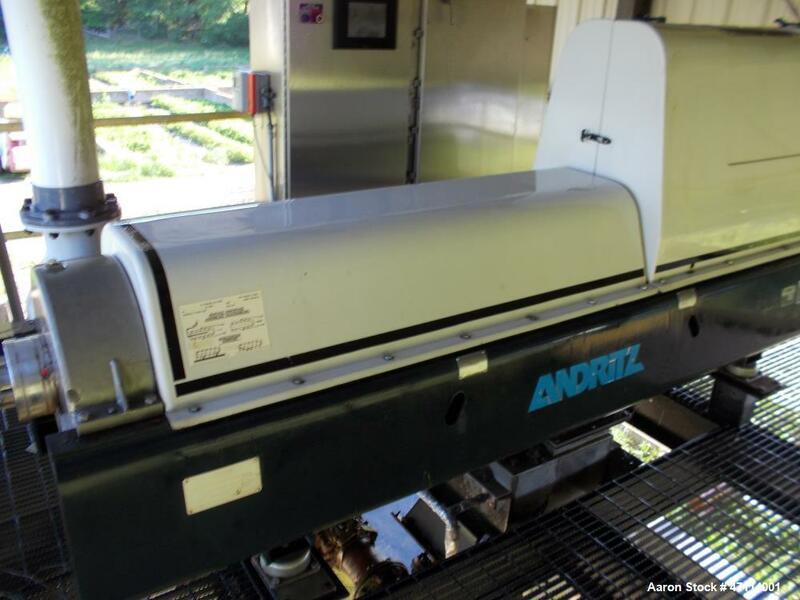 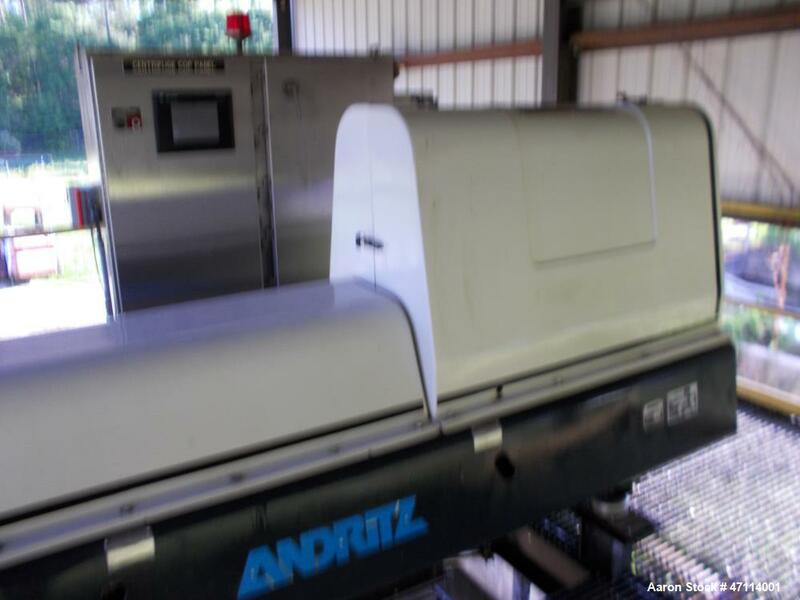 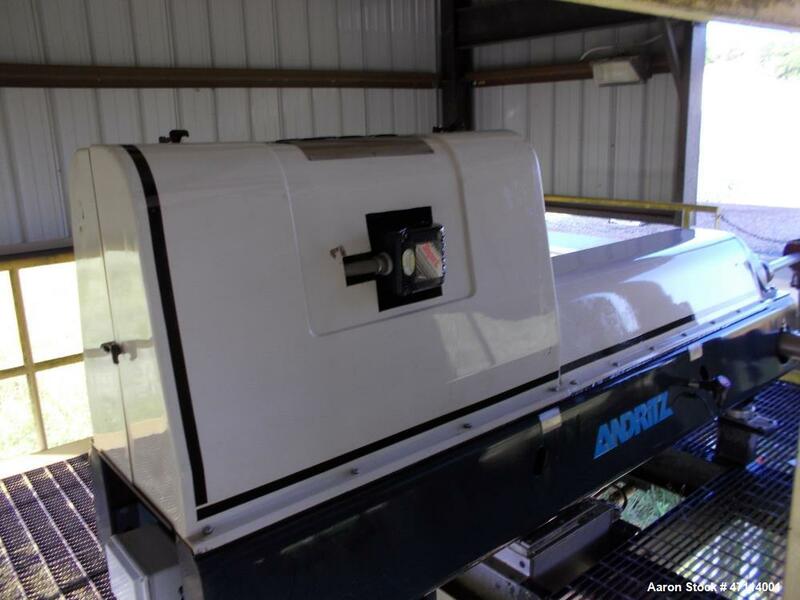 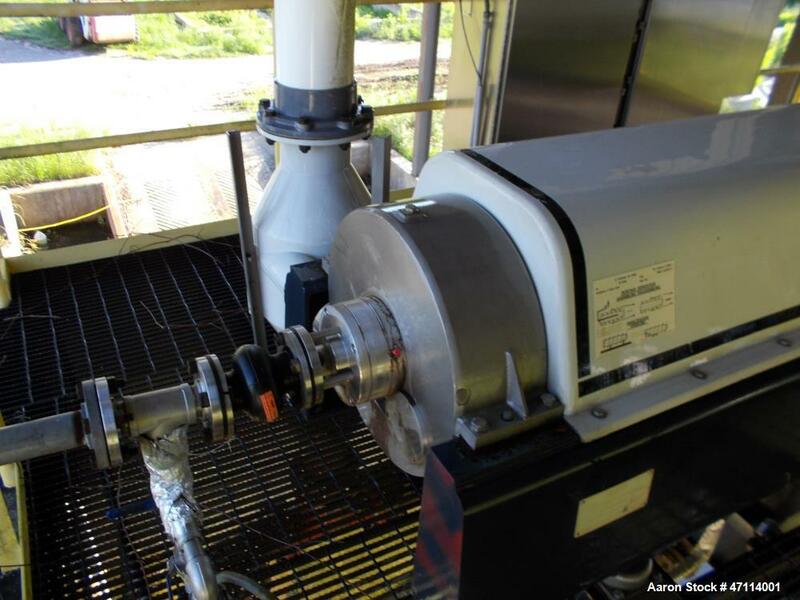 Used- Andritz D4LC30CHP Solid Bowl Decanter Centrifuge. 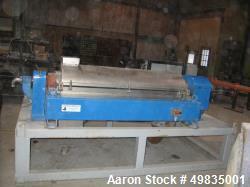 316 stainless steel construction (product contact areas) max bowl speed 3500 rpm. 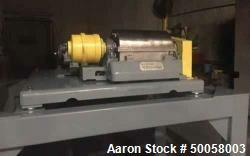 Scroll with sintered tungsten carbide wear protection tiles. 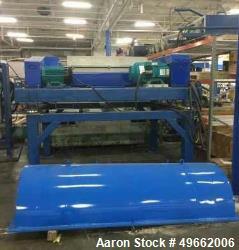 Cyclo reducer ZS 218/ratio 87, base, casing with fiberglass safety covers. 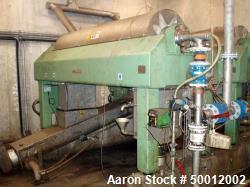 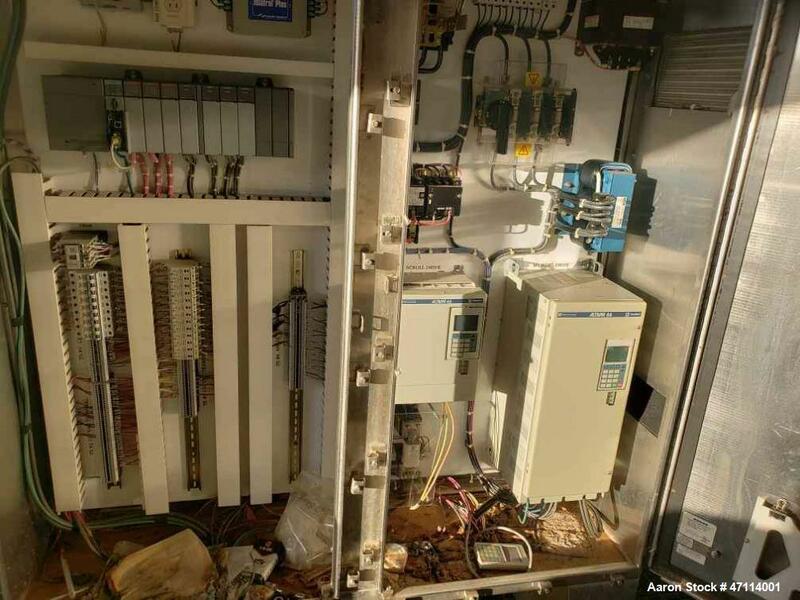 40 hp main drive motor 460/3/60, 10 hp backdrive motor 460/3/60, control with variable frequency drive.